Devilcraft Tropicarnival IPA is a 6.7% American IPA from Devilcraft Brewery, based in Tokyo, Japan. It’s part of their draft range of beers and first came out at the beginning of June 2018. 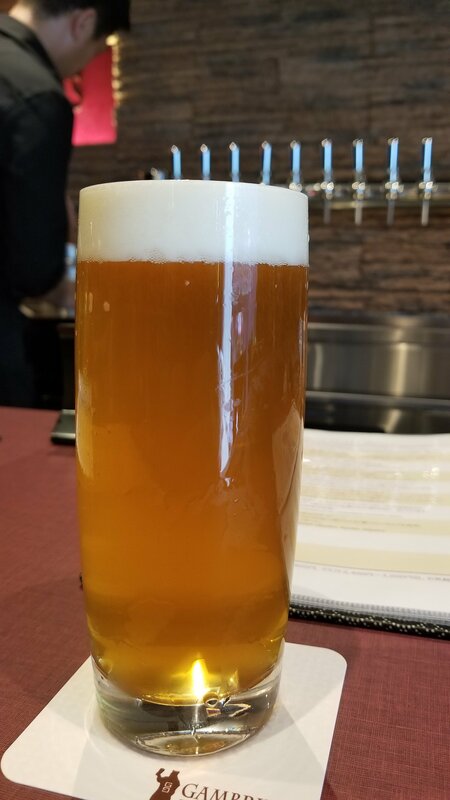 Devilcraft Tropicarnival IPA came up with a slightly hazy golden colour and a plump white head on top that lingered before leaving a thin layer of bubbles on top. The head clung to the side of the glass so much so that you could actually count how many sips or gulps I had by the time I had finished (10 for those wondering!). It had a pineapple, lemon, and orange aroma to it. Maybe it’s just me but I swear I could have smelt some coconut too though the malts brought a slight crisp, light biscuit nose. It wasn’t overly bitter; however, there was a slight kick to it that did fade fast. The hops brought the main flavours to Devilcraft Tropicarnival IPA, with the pineapple and coconut ones being the strongest and also well balanced. A subtle lemon and orange flavour lingered once the beer had warmed up. The residual tropical flavours on the aftertaste were present but not offensive. Devilcraft Tropicarnival IPA was light and dry – perfect for the 35c heat. Devilcraft Tropicarnival IPA is a well-balanced IPA that I LOVE to try again.